#1 in the State in just 5 Months...Marc Motors CDJR & CBC! #1 in the State in just 5 Months…Marc Motors CDJR & CBC! In May 2018, construction was completed on the all-new Marc Motors CDJR in Sanford, ME and its doors opened for business. 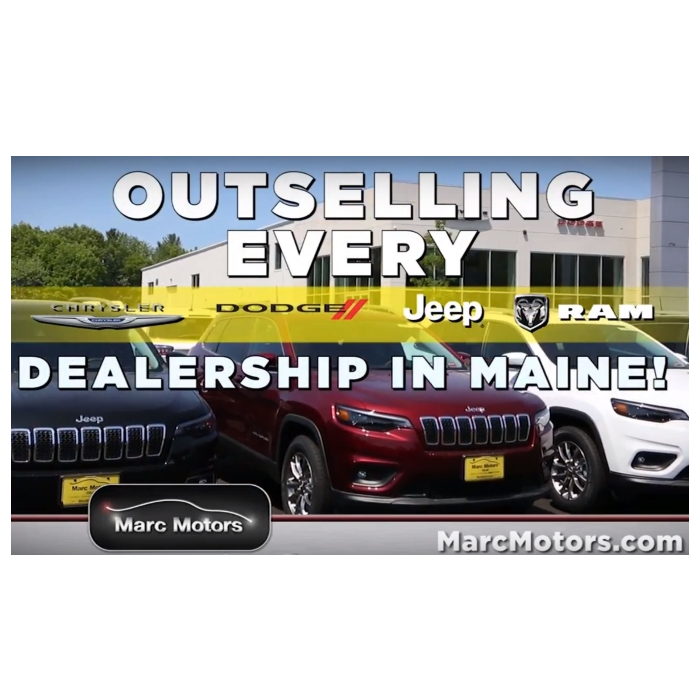 By September 2018, despite being in only the 7th largest city in the state, Marc Motors CDJR has outpaced all of its larger-market competition in just 5 months to become the #1 Chrysler Dodge Jeep Ram Dealer in Maine for September, 2018! That last line, great promotion, is where CBC Automotive Marketing fits into Marc’s picture. Through consistent, proven digital & traditional marketing strategies working together, Marc has built a brand reputation as a destination for any vehicle buyer in the region who wants to get their very best deal and be treated well before, during and after the sale. It’s also worth noting that this didn’t just start with Marc Motors CDJR. Prior to building the Chrysler Dodge Jeep Ram store, Marc has been consistently building his brand for many years at Marc Motors Nissan, also in Sanford. If you haven’t read the story about how Marc Motors Nissan went from struggling in 2010, to #1 in the State for 6 of the next 7 years, click here. CBC Automotive Marketing would like to congratulate Marc Motors Chrysler Dodge Jeep Ram for an amazing start. We’re proud to be a small part of their large success! !